MicroFleece Skiff The skiff suit range in ZhikSkin MicroFleece have proven to be a big winner and is becoming an increasingly popular choice compared to the traditional heavy neoprene. There are big gains in flexibility and comfort with these suits, available in both mens and womans styles. ZhikSkin MicroFleece is relatively thin super stretchy neoprene, laminated with an inner layer of silver fleece. This material combines to bring you a suit that is as warm as your traditional 2 or 3mm neoprene, however the suit is ultra-light. 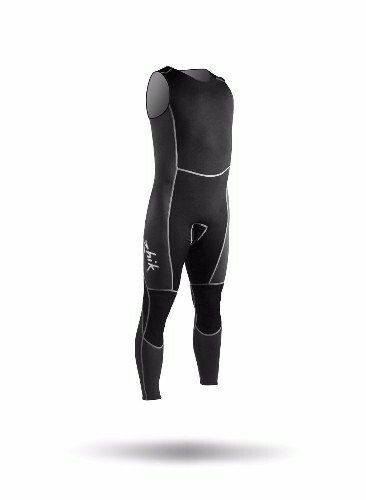 Like all Zhik suits, the seat and knee pad areas have a special abrasion resistant nylon ZhikTex material.